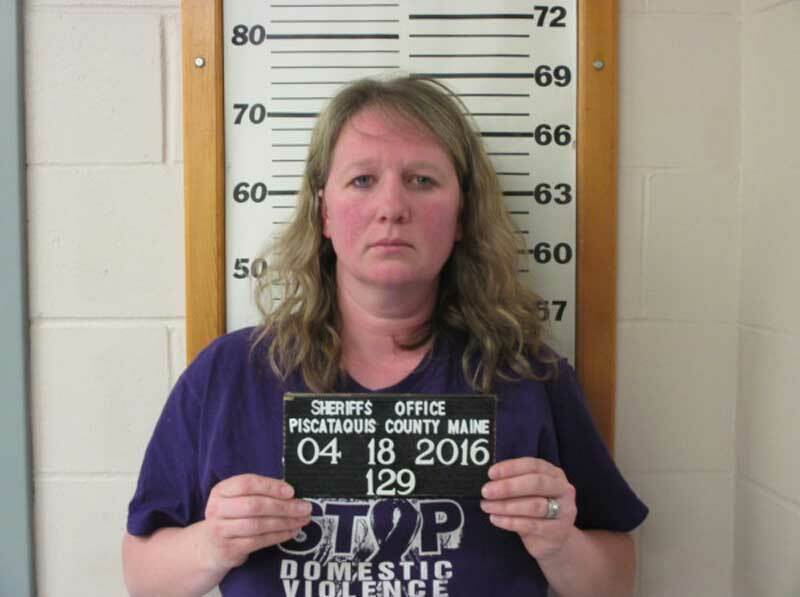 A woman wearing a “Stop Domestic Violence” T-shirt faces domestic violence charges after firing a gun during an argument with her husband inside the couple’s Maine home. Emily Wilson, 38, was arrested last week following a confrontation with her spouse Kyle over whether he was having an affair. During the argument, investigators allege, Wilson waved a handgun and fired a shot into the couple’s bed. 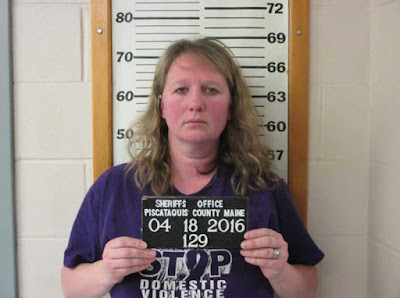 The husband, who is not being named because he is a possible victim of domestic violence, called the Piscataquis County Sheriff’s Office to report the incident who called the Maine State Police to investigate. Wilson, a high school social studies teacher, was subsequently arrested. 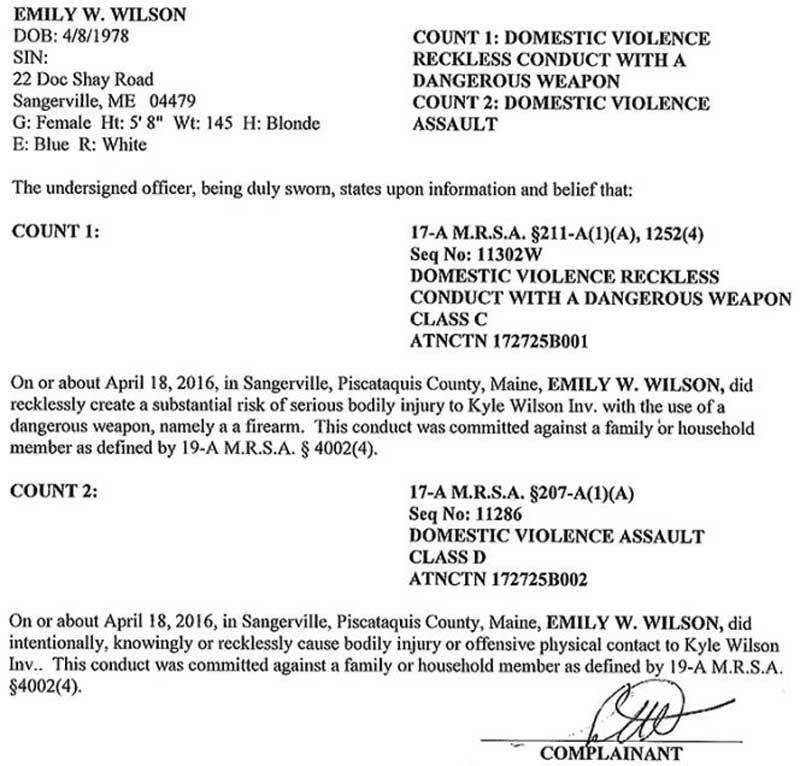 A criminal complaint filed against Wilson charges her with domestic violence reckless conduct with a dangerous weapon and domestic violence assault. 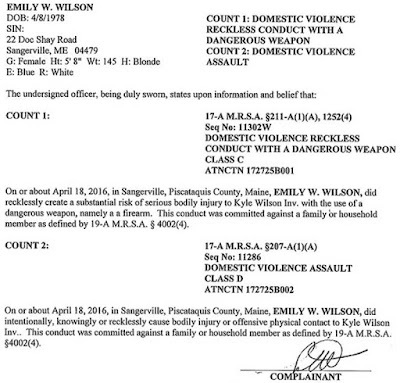 Wilson is free on $200 bail in advance of a June 6 court appearance. The husband isn't being named yet you posted the document containing his name without blacking it out.